We had a delightful visit recently from Barbara Bartram, widow of our benefactor Joe Bartram. We were thrilled to show her all the progress we’ve made firsthand; she’s already an avid reader of our blog, but seeing RELIANCE in person, in our opinion, was a much better experience. 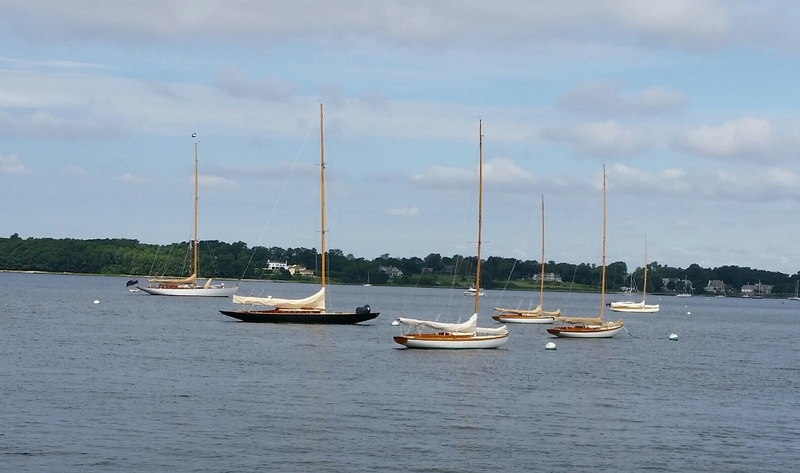 Several days later, the Museum held its Herreshoff classic yacht race series; the harbor was filled with beautiful boats. 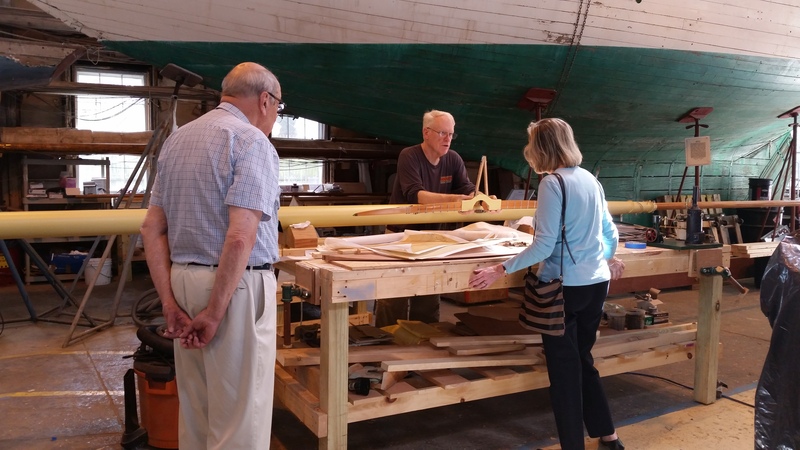 Many sailors got the chance to tour the museum and see our boat. Great fun for all! 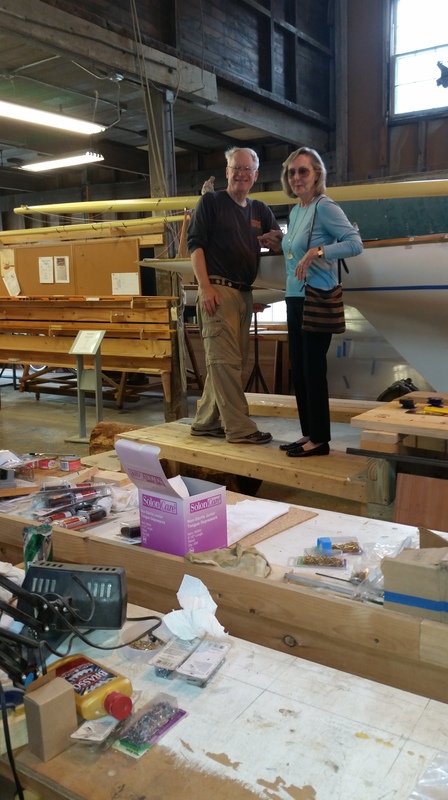 This entry was posted in Project Manager's Welcome and tagged America's Cup, barbara, Bristol, building 28, harbor, Herreshoff, Herreshoff Marine Museum, RELIANCE, Reliance Model, RELIANCE Project, series, yacht on September 3, 2015 by Herreshoff Marine Museum/America's Cup Hall of Fame.